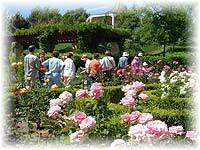 If you are looking for a rewarding volunteer opportunity, become a Docent at the Gardens of the World. 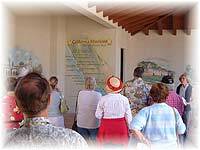 A Docent is a person who leads educational tours and assists guests. Anyone who enjoys people, plants and beautiful places! Training is provided, so you do not need prior experience. We ask for a 3 - hour commitment per week. Docent hours are scheduled Tuesday through Sunday from 10:00am - 1:00pm and from 1:00pm - 4:00pm. 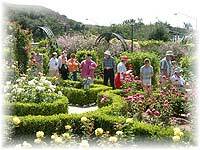 For more information or an application form, please call the Docent Coordinator at the Gardens Office (805) 557-1135 ext. 5. You can also print an application from the link below. The completed application forms should be mailed or faxed to us at (805) 777-1006. Volunteers are an integral part of the success of the Gardens. We welcome your talent and enthusiasm.